The Anar Guesthouse Esfahan, the home of hospitality. This guesthouse is located in the Armenian (Christian people of Iran) District, within walking distance (20 mins) to attractions such as the Vank Cathedral and Si-o-se-pol. Public transport is also nearby (5 mins) for you to reach attractions that are further away. 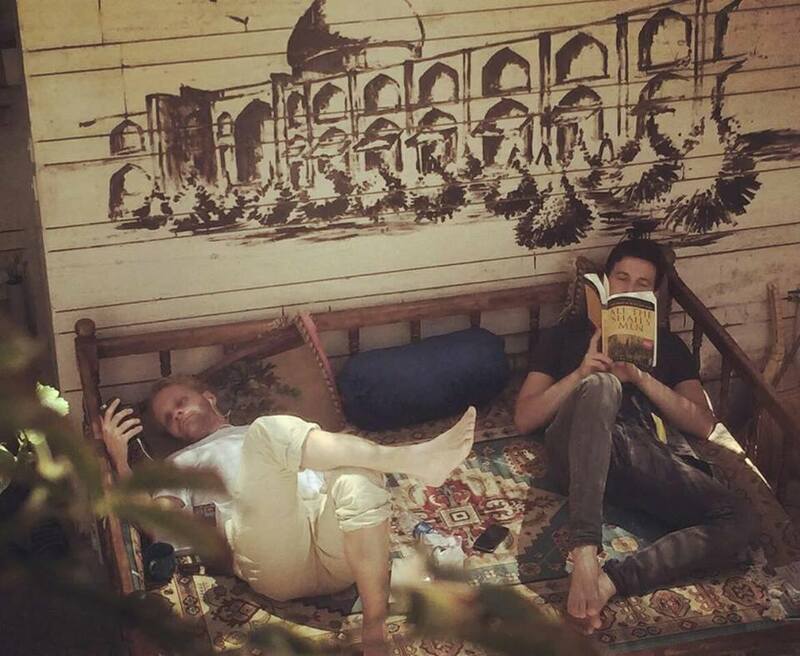 At here you can use their special Isfahan hand-drawn map, it has plenty of tips on where to find the local sights as well as handy shops and places to eat. If you just want to relax with good company, you can sit in their living room and enjoy a conversation over “chai“, that’s tea in Persian! The whole family looks forward to meeting you. At least one family member is usually home and they simply love the company of guests. Maryam, the eldest daughter of the family is an excellent chef and she runs a cooking class every evening in the guesthouse. Aside from teaching you how to cook the traditional dishes of Iran and Isfahan, she’ll also tell you more about the ingredients and spices used in the cooking process. After the cooking class, you’ll be able to savor the dishes you prepared for dinner and take home the recipes to surprise your family and friends back home! Another gift you can take home if you wish is mom’s homemade jam or the youngest daughter’s hand-painted postcards. Most importantly, we wish that you’ll leave with memories of good times in Anar Guesthouse. 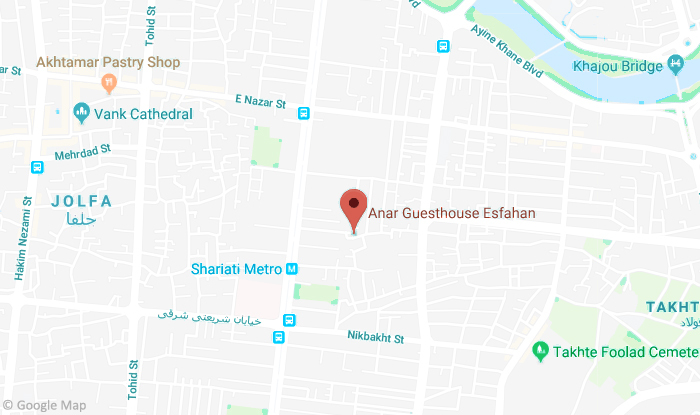 Nestled in the heart of downtown Isfahan, and hidden away from the bustle and noise of the main boulevards, you will find the Anar Guesthouse. Dormitory for up to four people (or bookable as a group) on the first floor each floor has one bathroom that is shared with guests sleeping on that floor. The first floor also has a guest kitchen that you can use. Anar Guesthouse is a warm, friendly, family-run homestay set in a central and convenient location easily accessible to Isfahan historic city. Here at Anar Guesthouse, there is no better way to experience genuine Persian hospitality. Persians love having guests and we are only too happy to help you enjoy the beautiful city of Isfahan. Whether you are visiting Isfahan for a few nights or a few weeks, Anar Guesthouse is your home away from home. 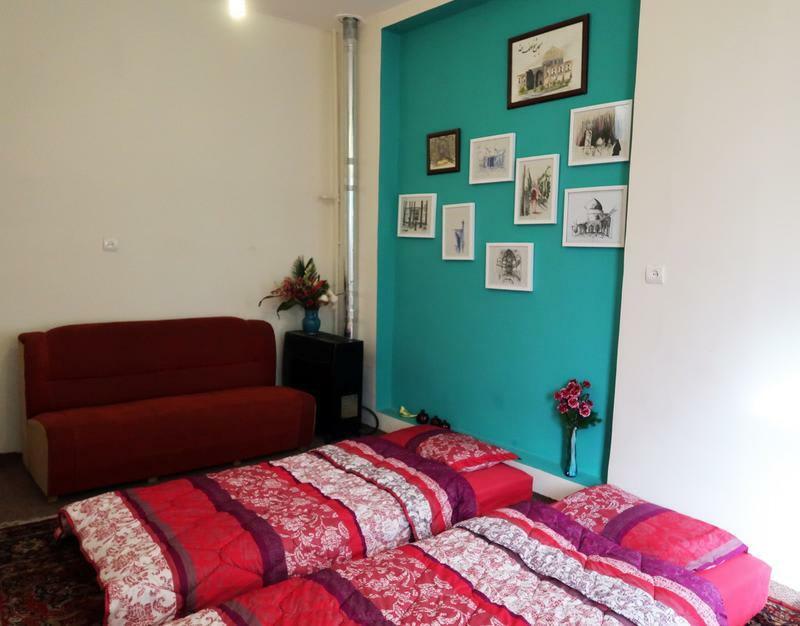 This hostel is in the luxury and Armenian part of Tehran but room booking price it’s really cheap. The building is full of plants and pretty. Also as other travelers told me, here is very clean. “Any travelers and guess come from your website(Freetehrantour.com), I will give them a discount”, Mahshad told me. So just need tell she you find hostel from Abbas’s site. So if you stayed in this hostel before, how was your experience?